Now theres a stomp box for singers. 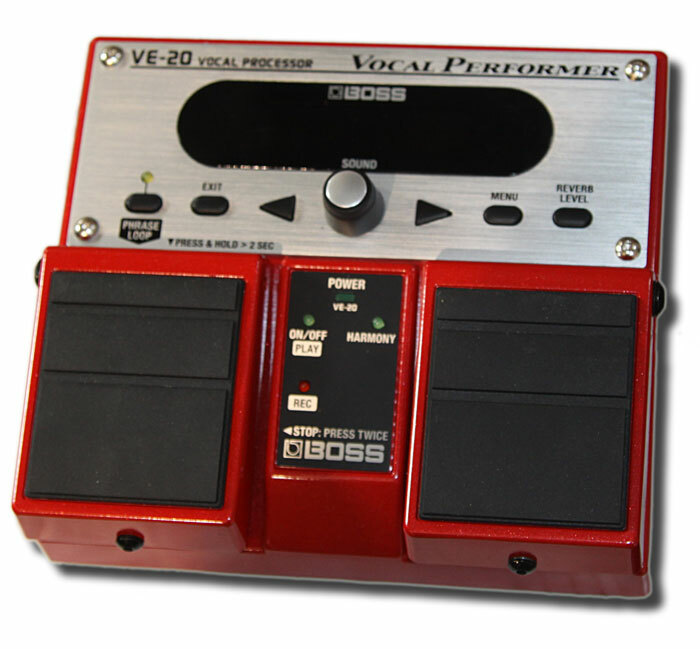 The new VE-20 vocal pedal is designed to give the live singer tasty studio quality vocal effects! The new,easy-to-use VE-20 has been designed from the ground up for singers, featuring some of the finest vocal-effects technology on the market. With the click of a footswitch, you can instantly add lush vocal layers and harmonies to your singing,add realtime pitch-correction,and you can show your creative side with special effects such as Distortion, Radio,and Strobe. You can even create loops and layers in real time with the onboard Phrase Looper. Perform anywhere with the VE-20 since it runs on AC or battery power.